Manufacturer of a wide range of products which include service trolley, ss cleanroom tables and surgical sink. 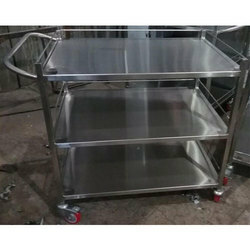 We are manufacturer and supplier of Surgical Instrument Trolley. Offered by us is a wide assortment of SS Cleanroom Tables With confirmation with set industrial industrial specified norms and standard, we manufacture this product with world-class grade raw materials. Our esteemed clients highly prefer this Clean room tables sure that they can enjoy the benefits, the the product renders. In order to gain huge appreciation of our respected clients, we are engaged in providing a broad spectrum of Surgical Scrub Sink. 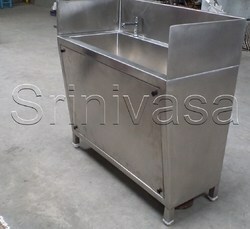 A clean surgical scrub sink is an essential part of sanitary, bacteria free procedures. In addition, we try our best to make it easy for our patrons to scrub up with these top quality all stainless steel.